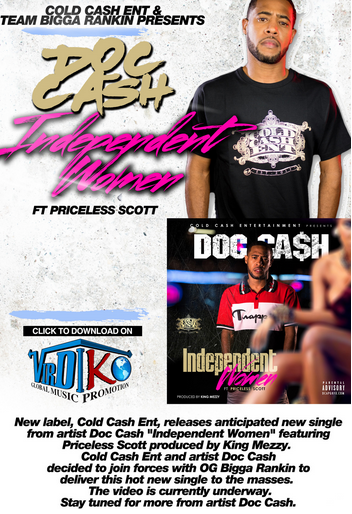 New label, Cold Cash Ent, releases anticipated new single from artist Doc Cash "Independent Women" featuring Priceless Scott produced by King Mezzy. Cold Cash Ent and artist Doc Cash decided to join forces with OG Bigga Rankin to deliver this hot new single to the masses. The video is currently underway. Stay tuned for more from artist Doc Cash.